On February 1,2,3 the "Sleuth" show will return back on stage at ArTurbina cultural center. 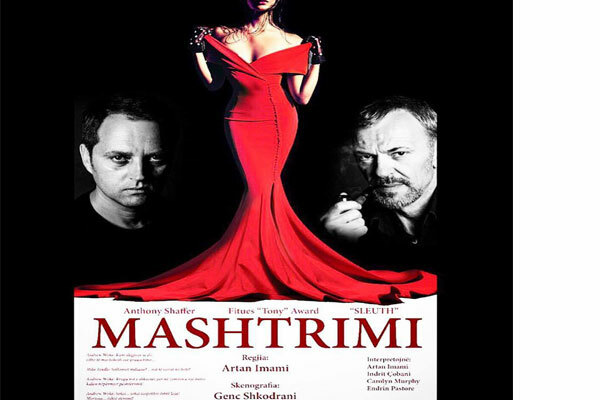 "Sleuth” a play written by English playwright, Anthony Shaffer and directed by Artan Imami. Scenography Genc Shkodrani. Interpretion by Artan Imami, Indrit Chobani, Carolyn Murphy and Endrin Pastore. The play is set in the Wiltshire manor house of Andrew Wyke, an immensely successful mystery writer. Wyke's home reflects his obsession with the inventions and deceptions of fiction and his fascination with games and game-playing. Reservations at no. 04 222 3022 Ticket time 9: 00-13: 00 and 17: 00-20: 00.